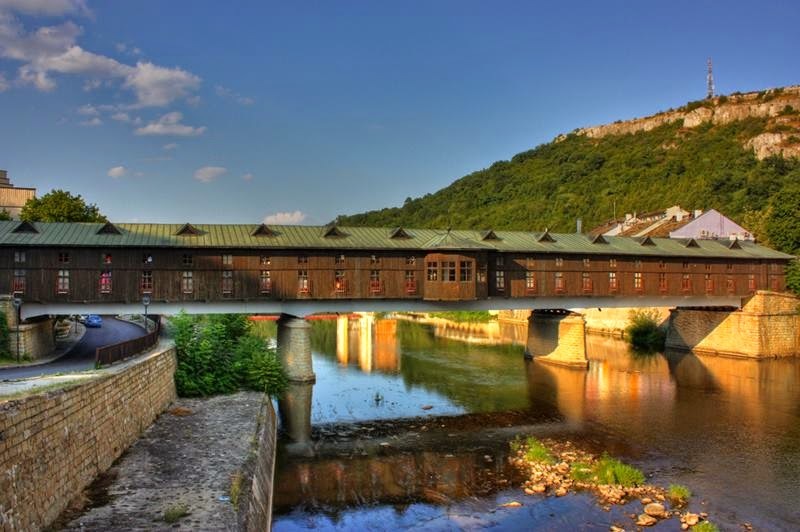 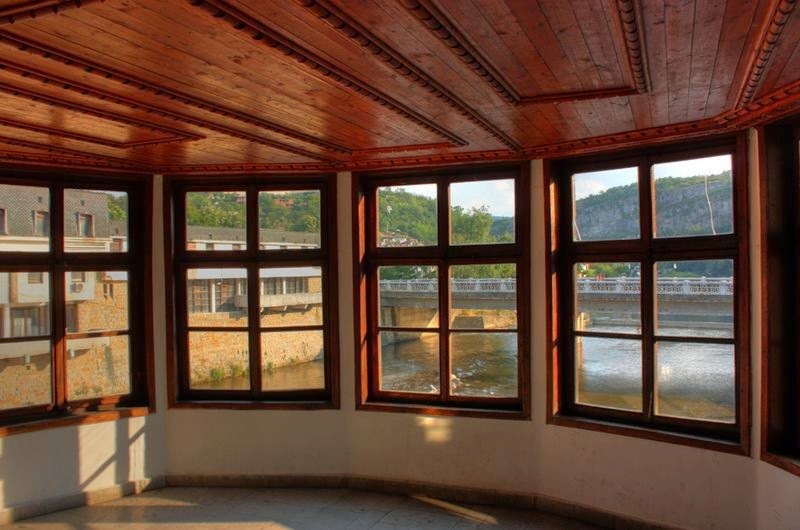 The Covered Bridge in the town of Lovech, Bulgaria. 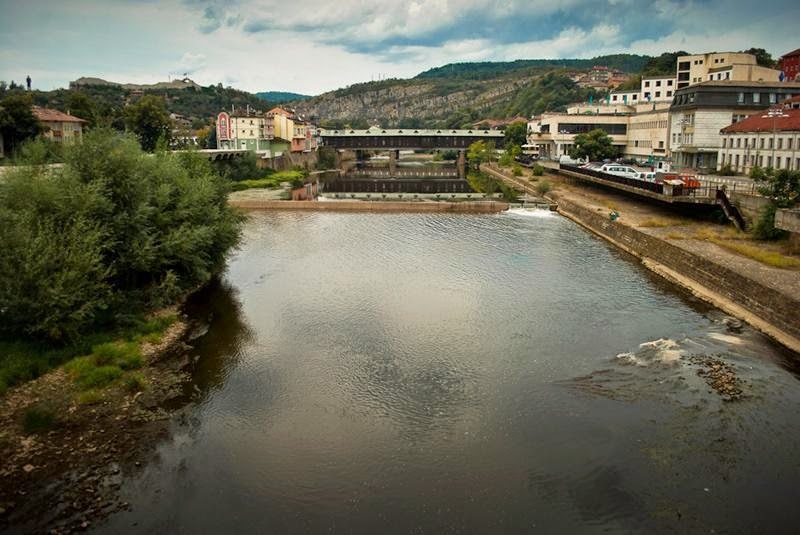 The name comes from an old Bulgarian word meaning "River City". 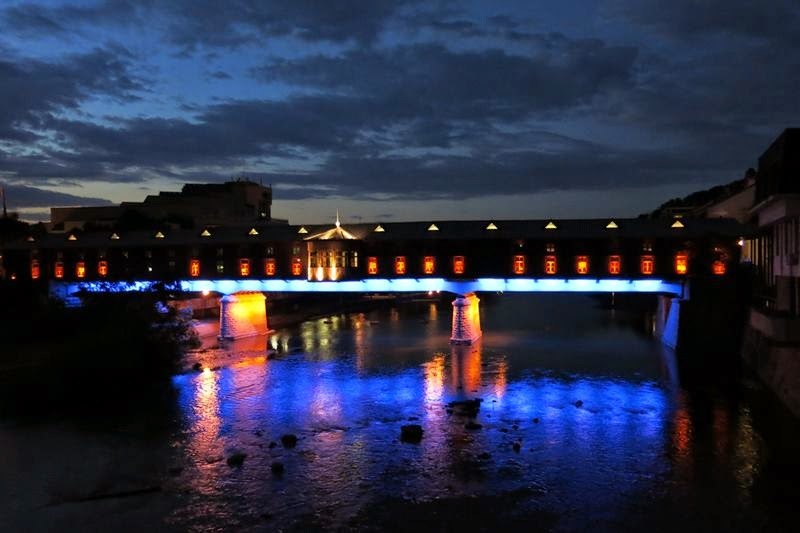 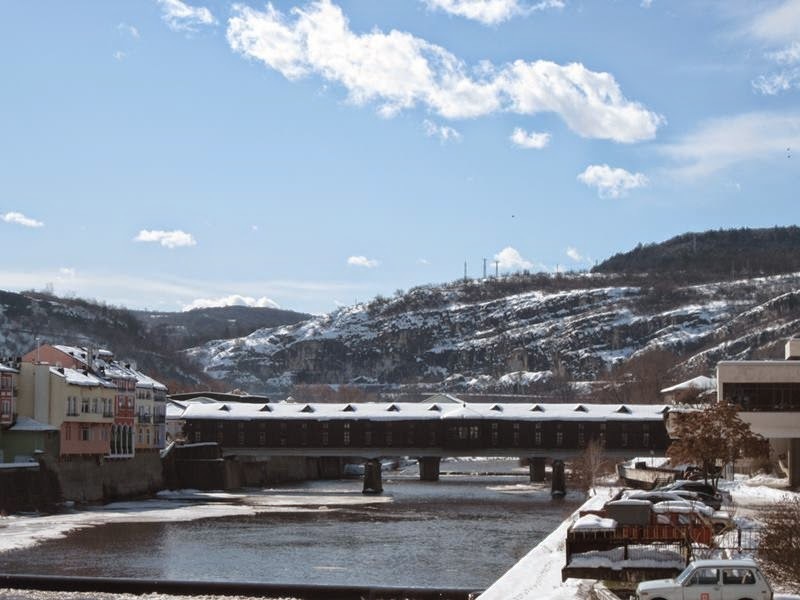 The bridge crosses the Osam River, connecting the old "Varosha" and new town parts of Lovech, being possibly the most recognisable symbol of the town. 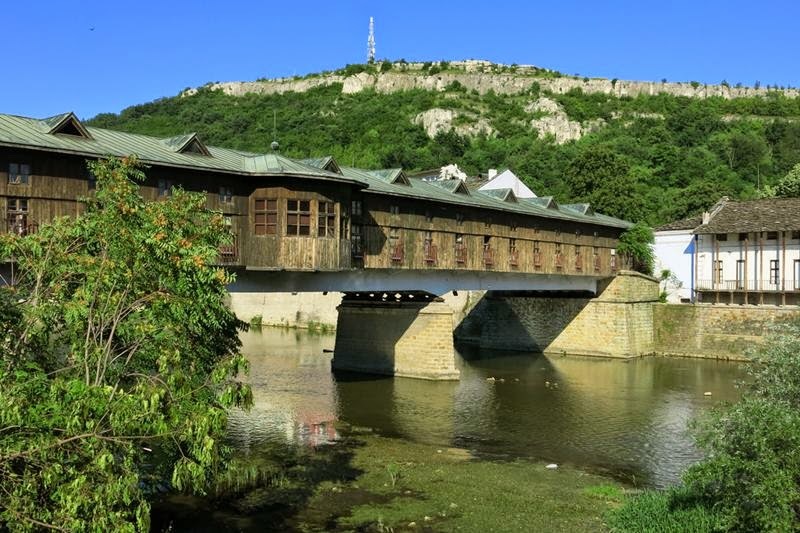 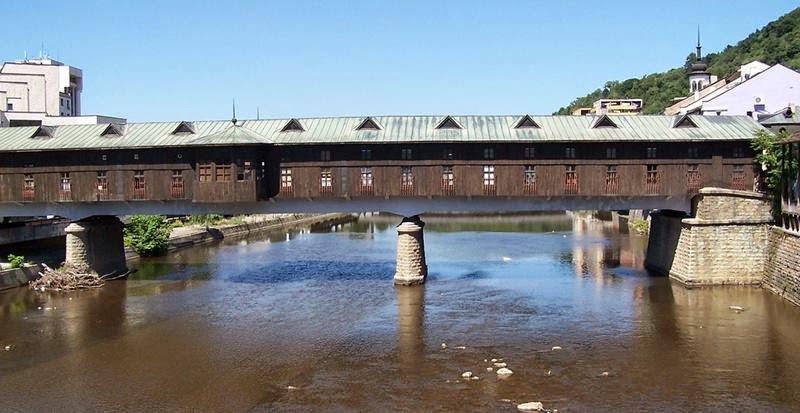 After the bridge that then served the town was almost completely destroyed by a flood in 1872, the local police chief ordered the famous Bulgarian master builder Kolyu Ficheto to construct a new one. 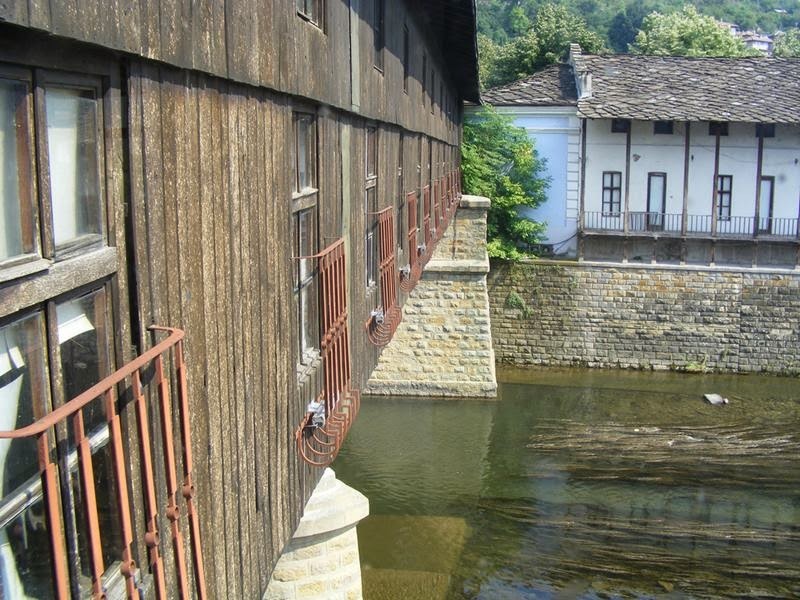 Ficheto personally chose the material for the wooden bridge. 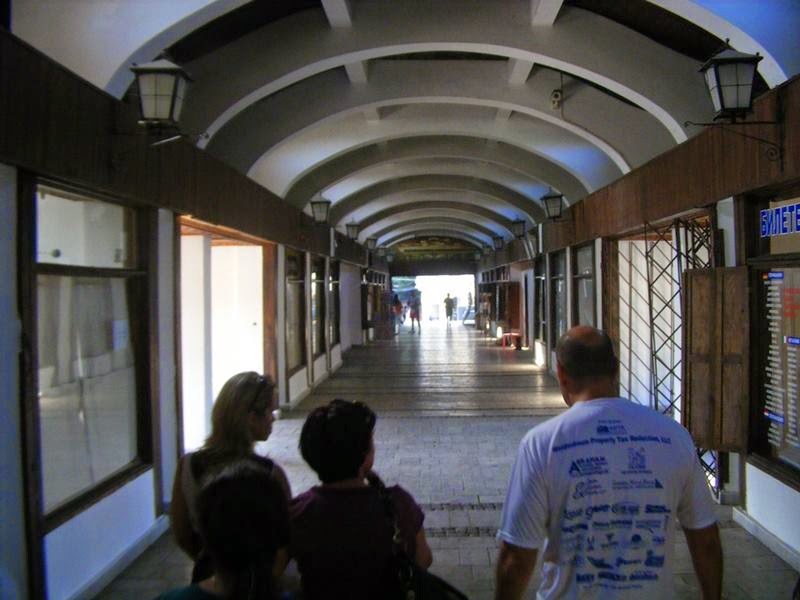 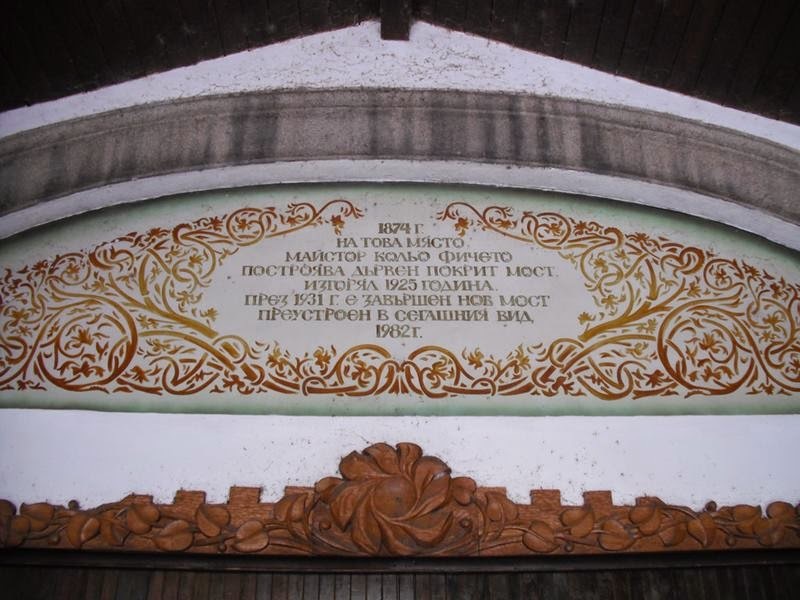 Each citizen of Lovech contributed to the building process, the poorer ones working themselves and the wealthier donating money and paying other workers. 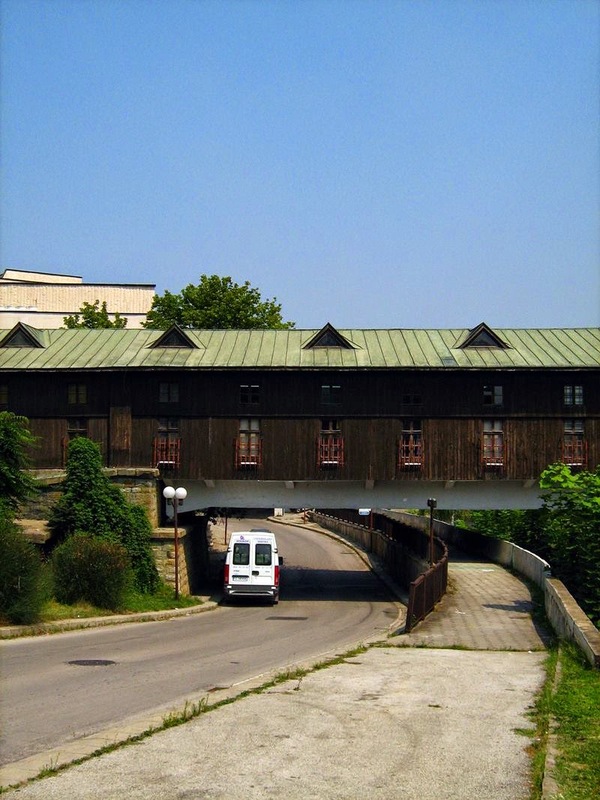 Building completed in 1874.